The Yamamoto Flappin' Hog was originally only available in Asia and has now officially made its way to the States. The Flappin' Hog has three distinct types of appendages. The appendages closest to the tail section are the longest and have the most weight of the appendages. The riveted body of these appendages will create vibration and action during the fall and when shaking this bait. Yamamoto has incorporated new designs and characteristics but, they have also stuck with some of the characteristics of their proven baits. The appendages on the Flappin' Hog are close to the body so it can get in and out of tight cover with ease. Yamamoto has also incorporated a hollow section close to the tail to allow easy hook penetration through the bait. 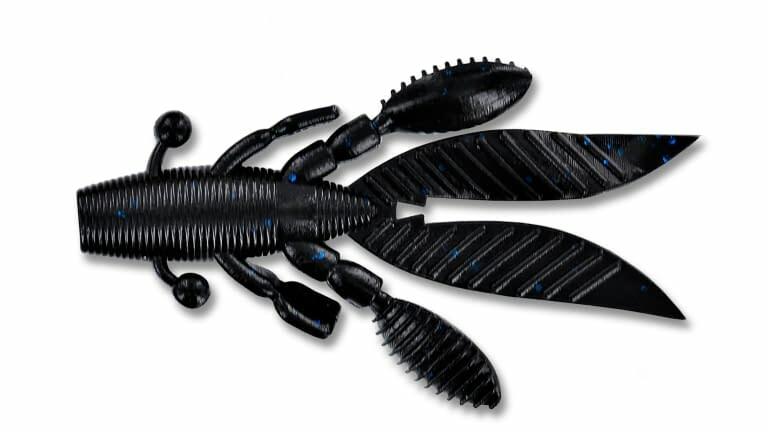 The design of the Yamamoto Flappin' Hog makes it an ideal bait for flipping and pitching.